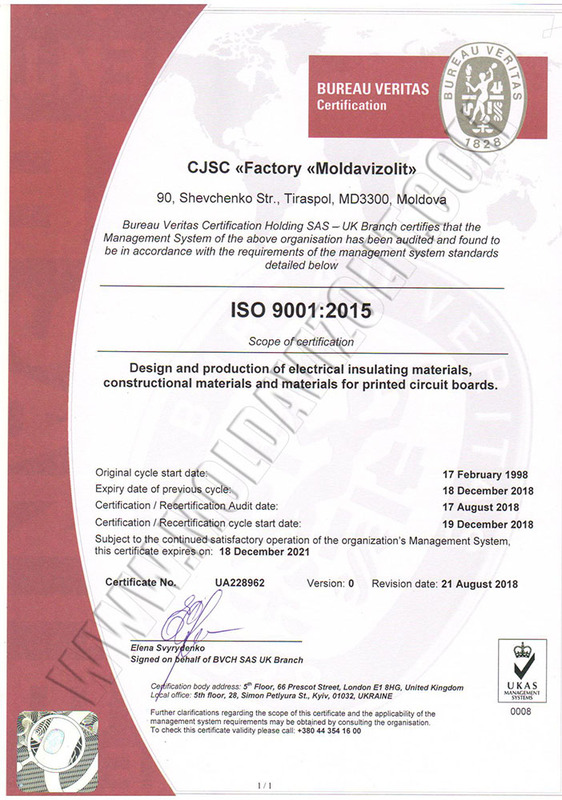 At CJSC "Factory" Moldavizolit"" in 1997, developed and implemented a quality management system in the development and manufacture of insulation materials and clad dielectrics for printed circuit boards, in accordance with the requirements of ISO 9001. This system, in February 1998 has been certified by the international the certification body BVQI (Bureau Veritas Quality International). 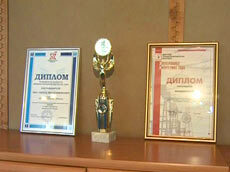 In December 2006, the company has once again successfully passed the certification of international organizations «BUREAU VERITAS Certification» and today quality management system of JSC "Factory" Moldavizolit "" complies with international standard ISO 9001:2008 (Certificate № 226156 on November 27, 2009 ). In the structural units of the enterprise is held constant work to maintain an effective system of quality management and improvement. Quality management system can provide high quality, from the moment of designing the product to its delivery to consumers. Along with this, the introduction of quality systems in the enterprise has strengthened the image of a stable and reliable partner, able to meet all customer requirements. Systematic development of goals and programs for quality, as well as their analysis and improvement, create the enterprise through improved governance and contribute to improving the quality of the finished product.